Nothing is more perfect for Easter than chocolate! 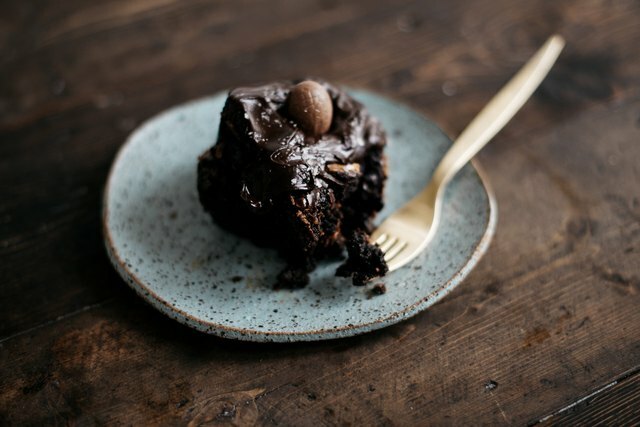 Loaded with salted caramel, chocolate eggs and lots of dark chocolate, these brownies are the ideal treat for Easter or any indulgent occasion! The best part? You can be as creative as you would like and use any kind of leftover Easter candy you desire. 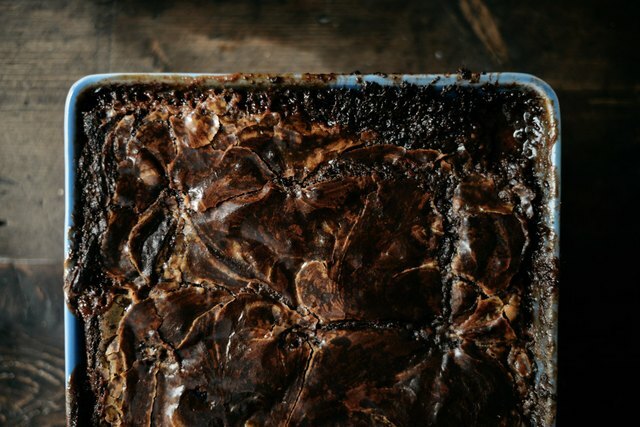 These brownies are definitely the ultimate of all brownies — they're so fudgy, delicious and simple to make! Make sure to top them with chocolate ganache sauce, too. Preheat the oven to 350 degrees Fahrenheit (180 degrees Celsius). Grease and line a 8-inch (20 cm) square baking pan or ceramic dish. Set aside. Place 6.2 ounces (175 grams) of the granulated sugar, 2.5 ounces (70 grams) of the butter, 2.5 ounces (70 grams) of the cream and salt into a medium sized saucepan set over medium-low heat. Heat, stirring often, until the butter has melted and the sugar has dissolved. Increase the heat to medium and continue to cook, swirling the pan often but not stirring, until the mixture forms a deep amber caramel color. 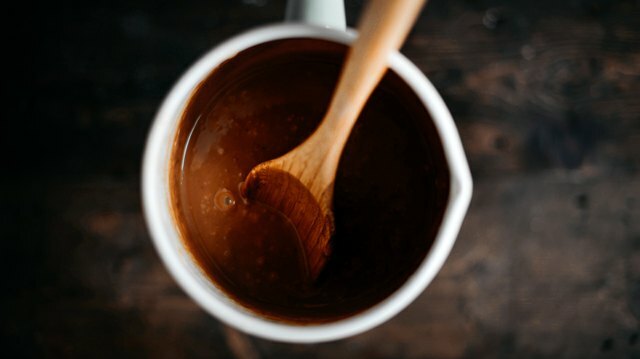 Keep the caramel set on a very low heat on the stove to prevent it from hardening while you make the brownie batter. If the caramel hardens, simply add in a tablespoon of cream as needed, and place it back on the heat to melt until smooth again. Place the all-purpose flour, dutch processed cocoa powder, 10.6 ounces (300 grams) of the sugar and 1/4 teaspoon of the salt into a large mixing bowl. Add in the eggs and whisk vigorously until just combined. Add in the melted butter and stir until very smooth and glossy. 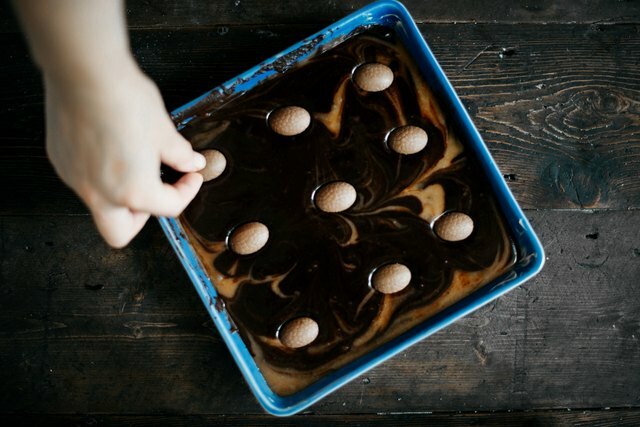 Place three quarters of the brownie batter in the bottom of the prepared baking dish. Use a rubber spatula to evenly spread the batter to the edges. 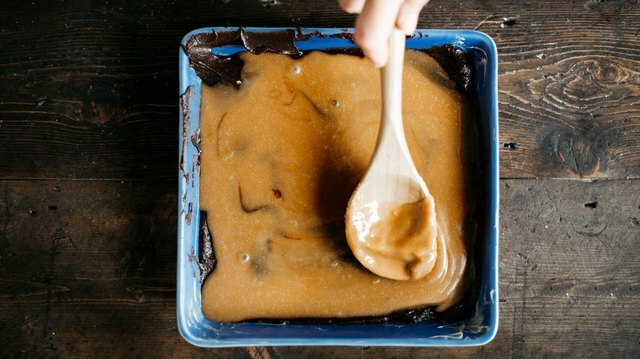 Pour the salted caramel directly over the top of the brownie layer. Then, dollop the remaining quarter of the brownie batter on top of the caramel. Use a sharp knife or wooden skewer to swirl the two mixtures into each other to form a marbled pattern. Be careful not to over swirl! You want the brownie batter and salted caramel to contrast against each other. Decorate the top of the brownie with your choice of easter candy! I used nine small chocolate easter eggs. Make sure to gently press the candy into the surface. 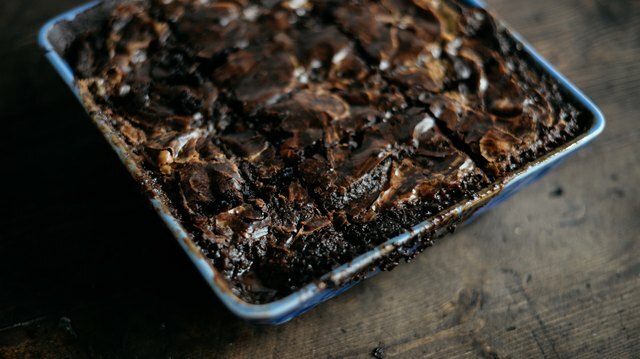 Bake the brownies for 30-35 minutes, or until the top is crackled and firm around the edges but still soft and gooey in the middle. A wooden skewer or sharp knife inserted into the middle should not come out clean, but with a few moist crumbs attached instead. Remove the brownies from the oven, and let cool until room temperature before slicing with a sharp knife and serving. 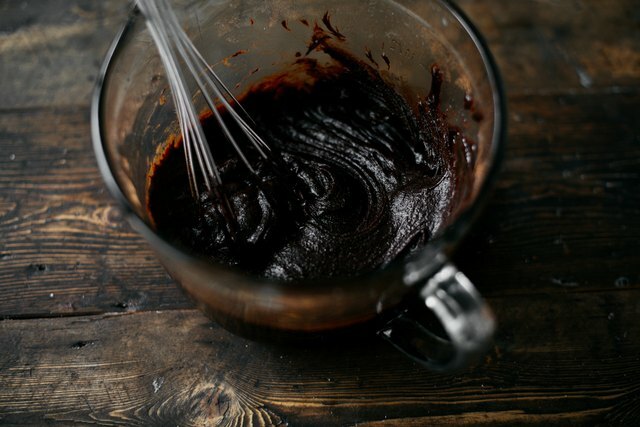 Place the finely chopped dark chocolate into a medium-sized mixing bowl. Set aside. Place the remaining 2.9 fluid ounces (85 milliliters) of the heavy cream into a small-sized saucepan set over medium-high heat. Heat, stirring often, until the cream comes to a rolling boil. Remove from the heat and pour the cream over the chocolate. Let the mixture sit for 1 minute to acclimate before stirring until very smooth and glossy. Step 8: Serve the brownies! 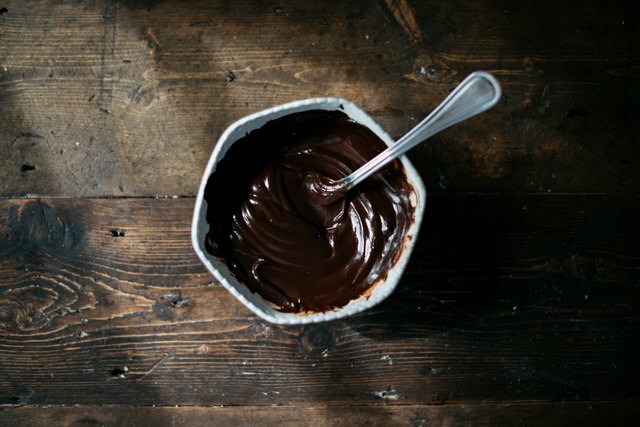 You can serve the brownies as they are... or serve them with a generous slather of the chocolate ganache sauce for something even more decadent and delicious! 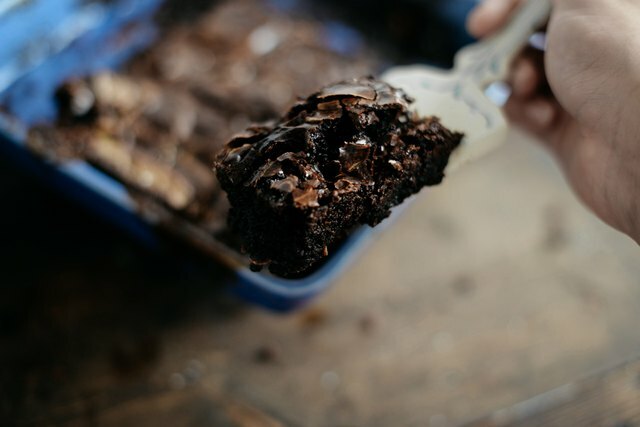 The brownies will keep for up to three days stored in an airtight container at room temperature.